Sayahda, a clairvoyant since birth has been a teacher of metaphysics for over 30 years. She is a frequent presenter at various new age organizations across the globe including The Spiritual Frontiers Fellowship, The Australian College of Metaphysical Studies, Natural Spirit Japan and Unity Church. A graduate of the IAC she lived and studied with the psychic surgeons of the Philippines and the Mayan medicine people of the Yucatan. Sayahda's clientele include celebrities, professionals, government officials and other metaphysical teachers. Her approach to spirituality is refreshingly realistic and uncoventional in format. She has traveled both domestically and internationally giving "Special Guidance to a Changing World." Her greatest teacher has been life itself. Experiencing 2 deaths in her early twenties Sayahda's dedication to the upliftment of humanities consciousness began. Sayahda believes that Spiritual Enlightenment means to "Lighten Up". We are not here to suffer, rather, we are here to transcend suffering. Her Soul blueprint readings, seminars and lectures are practical and insightful speaking directly to the heart of the individual. The focus of her work is on helping others awaken and reconnect with their true potential within. 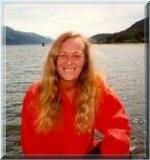 She is the author of three books and the founder of The Orhai Method of Total Healing Course. A unique healing modality that clears fear based emotions. Her Cherokee heritage compliments her love for animals and the environment. Please note, Sayahda's website is going through a make over and wont be back on line until the end of the year She can still be contacted through e-mail. When you can stand in the chaos and be unaffected by it you are one with Spirit"
"Do for the Joy of Doing"
We are not here to suffer. We are here to transcend suffering. "Spiritual enlightenment means to Lighten Up"